Digital Fruit Machines have a maximum stake of £1 and a maximum Jackpot of £70. 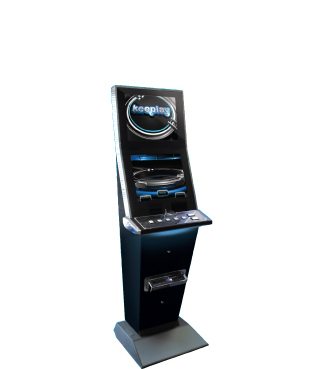 These machines are found mainly in Public house, Working mens clubs, Universities and Arcades. Fantastic themes and sounds make these machine great to play and are highly attractive for any venue. With a choice of different games from traditional style games to Poker, Blackjack, Roulette you can have all these games on one machine. - MGD introduction on the 1st February 2013 means there will no longer be VAT or an AMLD licence to pay, thus creating further opportunities to have more machines on site. - Large availability of machines are always in stock available for immediate dispatch. We supply from manufacturers such as Astra, Barcrest, Bellfruit, Blueprint Gaming, Electrocoin, Mazooma, Reflex Gaming, Storm Games to name a few. - Available on a shared basis (no upfront cost) or a weekly rental – You decide! !